Over the past few months, the closer we have got to the much anticipated Australia-India Test series, more often have the names of Steve Smith and David Warner, two men who should not be seen on the field during this series, been mentioned. That by itself is not surprising. They have been the two pillars of Australian cricket in recent years, and the possibility, indeed certainty, that the team will have to do without them in this crucial series is causing understandable heartburn. Smith and Warner are eight months into their one-year bans, while Bancroft will be eligible to return in December. What is worrying is that the noise that started several months ago questioning the length of their bans is now not only becoming a crescendo. The closer we get to the summer and the India series, the Australian Cricketers Association is using the weakened position of Cricket Australia, which is in the midst of management turmoil to push for earlier reinstatement of the duo. The Australian Cricketers’ Association had lodged a submission calling for a rethink in the wake of the Longstaff review, which the ACA says provided new and compelling evidence that CA – and not just the players involved – contributed to the atmosphere that prompted the events of the Cape Town Test in March. 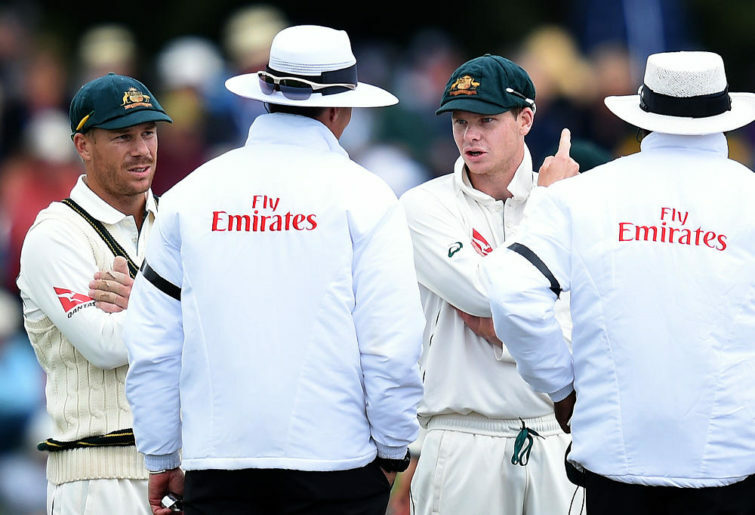 The Longstaff Review released late last month exposed the many cultural failings of Cricket Australia in recent years that conspired to create the environment that led to the Cape Town ball-tampering saga. The review found the organisation was perceived as “arrogant and controlling” and that players lived in a “gilded bubble”. CA’s chairman David Peever resigned in its wake. While the likes of Shane Warne, Adam Gilchrist and Doug Walters would like their bans reduced, many others are not convinced. Among more contemporary cricketers, Mitchell Johnson has been very vocal, consistently tweeting his angst at calls for the reduction in their bans. Ian Chappell agrees. Be that as it may, the question is why exactly are the voices for reinstatement becoming a clamour at this particular point of time? Is it because people genuinely feel the ban was too harsh on three individuals whereas it was the system and culture itself which needs to be blamed? Or is the reason for this sudden increase in noise much more to do with the fear of defeat at the hands of a team that has increasingly in the past few years looked more Aussie in their approach to the game than the Aussies themselves? On the surface there seems little reason to panic. Since the ill fated South Africa series when the three were banned, Australia has only played one Test series, against Pakistan in the UAE. They lost the two-Test series 0-1, surely not a result that would send a nation into mourning. The problem however goes beyond the result itself. They were not too far off the mark. The only batsmen with any reasonable Test experience were Usman Khawaja, Shaun Marsh, and Mitchell Marsh with 92 Tests between them. The selections of the last two had long been questioned by Aussie fans, often attributing it to the position of power their father Geoff Marsh enjoys. By the time the Pakistan series ended, the situation had only become worse. While Khawaja had one century to his credit in the series, he had also damaged a ligament in his knee and may not be available for the series against India. The Marsh brothers between them had scored 44 runs in eight innings. In 1977-78 when Australia itself had been severely weakened by the Packer desertions, it had managed to prevail 3-2 against Bishan Bedi’s full strength side at home under the able leadership of Bobby Simpson, coming out of retirement to serve his country. The bench strength had helped at the time. Rodney Hogg, Kim Hughes and Gary Cosier would serve Australia well in the coming years, and the bowling was led by the fearsome Jeff Thomson. On the other hand, in 2013 when Michael Clarke’s Australian side toured India, they had arrived on Indian shores having gone undefeated in seven successive Test series. Unlike Steve Waugh or Ricky Ponting’s sides, they had indeed lost a few Tests, but not a series since the 2010-11 Ashes 1-3 defeat. 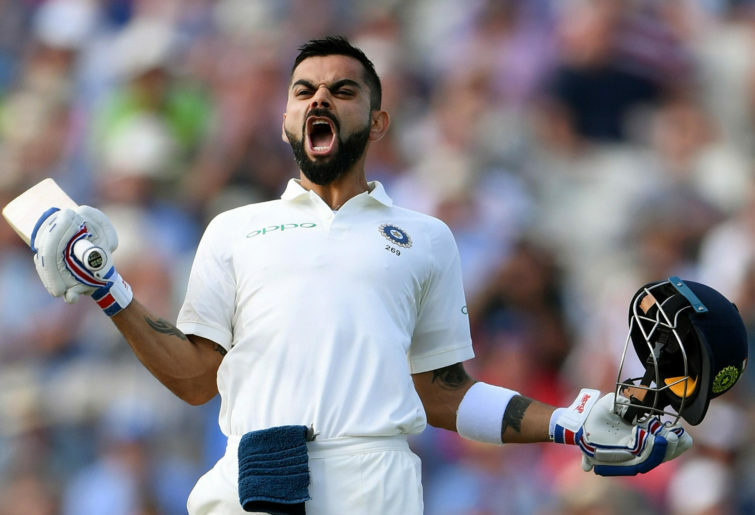 When the shattered team limped off the Indian shores four months later, they had been whitewashed 0-4 for the first time since a similar loss to South Africa 1969-70 in a Test series. 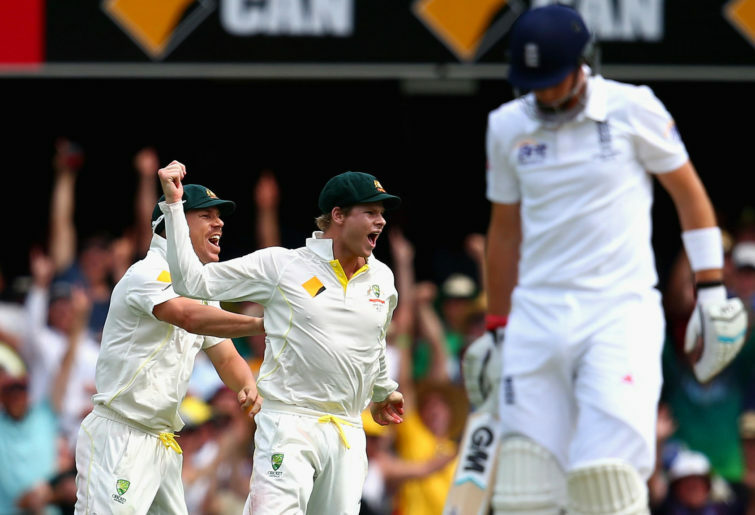 In both those instances, Australia itself had not been a weak side. They had lost to a better side which outplayed them. But 2018 is different. Just like in 1977-78, the Australian bowling is a mix of experience and talent, but it is the batting that has a gaping hole. There is no Bob Simpson to ride to the rescue on a white horse. There is no new Kim Hughes on the horizon. On the other hand, they will face up to an Indian pace attack the likes of which has not been seen down under. Mohammad Shami, Umesh Yadav, Bhuvaneshwar Kumar and Jasprit Bumrah are all supremely talented and bowl at well over 140 clicks. Complementing them will be the experienced Ashwin and Jadeja and adding mystery to the mix with his Chinaman, will be India’s latest spin sensation, Kuldeep Yadav. The Indian batting, stunning on paper, inconsistent off it, may yet be good enough to face up to whatever Australia hurls their way. While the Aussies had the measure of Kohli in the India series a couple of years ago, since then he has been in imperial form. In England he threw away the cobwebs in his mind from the previous series and put in a performance for the ages. There is no reason to believe it will be any different in Australia. Rishabh Pant, Ajinkya Rahane have been in form recently and Murli Vijay with his performance for Essex and KL Rahul with the century against Oval will be looking to make a statement. Che Pujara yet again would want to prove that he is effective overseas and young Prithvi Shaw at the top of the order will be keen to prove he belongs there. Given the difference in quality and experience between the two teams, if the ACA does not succeed in reducing the bans on Smith and Warner, India will in all likelihood celebrate their first series victory in Australia since 1947. The Aussies can however draw comfort from the fact that no matter how badly this goes, in all probability it wont be worse than 2013.